"Even in rain mode, the BMW accelerates very hard." MCN’s Chief Road Tester Trevor Franklin is at the Portimao circuit in Portugal for the track launch of the new BMW S1000RR. “I’ve just come in from the first session, which we were meant to use to learn the track but I’ve been here before so I could go fairly hard from the off. "All the bikes were set in Rain mode, to break us in gently with lower power (148bhp) and gentle throttle response. “But even so, from 6000rpm the BMW accelerated very hard – the power delivery is so immediate that I would have guessed at 170bhp. “It’s early days, but the bike seems to be everything we hoped for. I’m particularly impressed with how easy it is to ride – after half a lap I was relaxed, comfortable and feeling at home. More updates soon. Full indepth report in tomorrow’s MCN, on sale Nov 18. 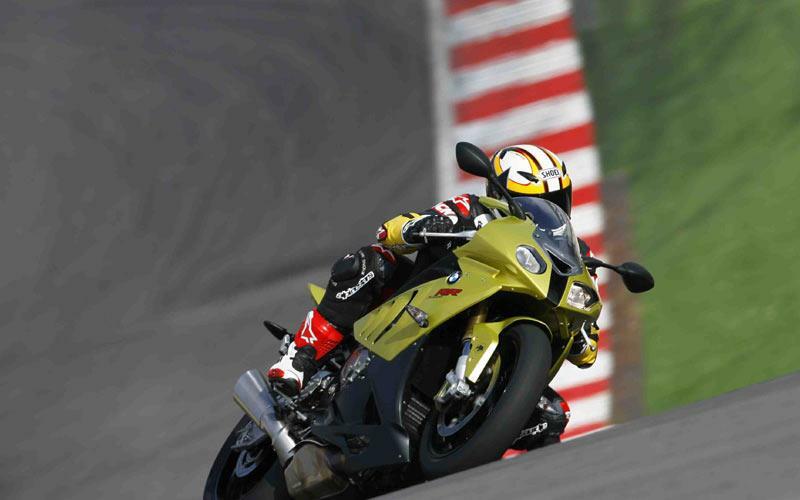 2010 BMW S1000RR first ride: "It's very, very quick"